March existing-home sales in the Northeast jumped 6.3 percent to an annual rate of 680,000, but are still 9.3 percent below a year ago. The median price in the Northeast was $270,600, which is 3.3 percent above March 2017. Existing-home sales in the South decreased 0.4 percent to an annual rate of 2.40 million in March, but are 0.4 percent above a year ago. The median price in the South was $222,400, up 5.7 percent from a year ago. Existing-home sales in the West declined 3.1 percent to an annual rate of 1.23 million in March, but are still 0.8 percent above a year ago. The median price in the West was $377,100, up 7.9 percent from March 2017. 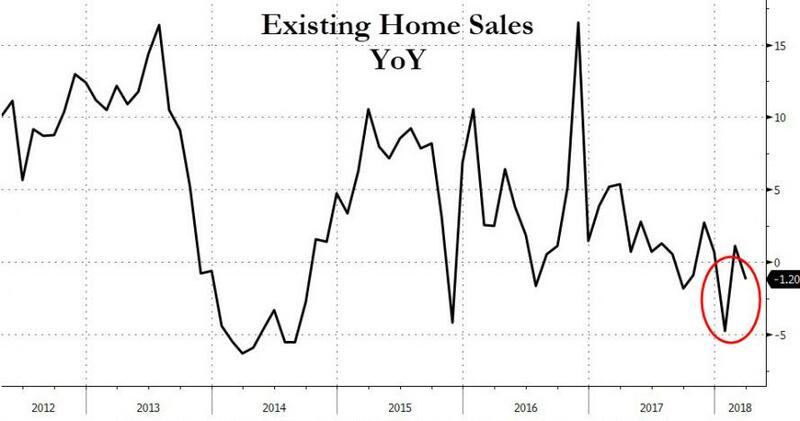 But, existing home sales dropped 1.2% YoY to 5.6million SAAR. Inventories rose 5.7% - a positive for affordability; but median prices rose 5.8% YoY to $250,400 (more than double wage growth). Lawrence Yun, NAR chief economist, says closings in March eked forward despite challenging market conditions in most of the country. "Robust gains last month in the Northeast and Midwest – a reversal from the weather-impacted declines seen in February – helped overall sales activity rise to its strongest pace since last November at 5.72 million," said Yun. 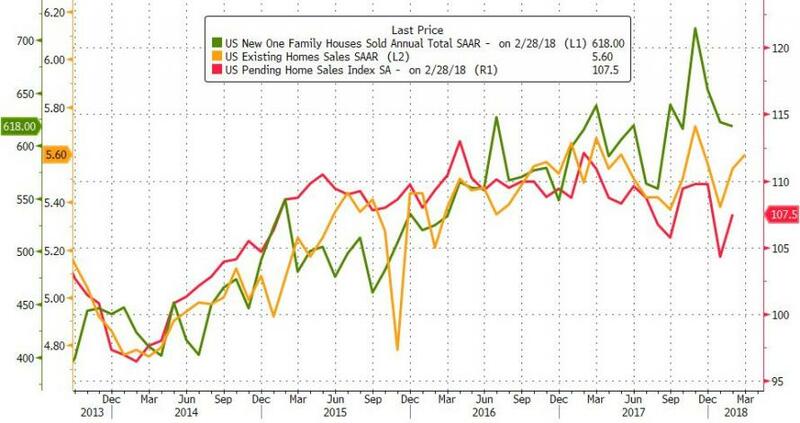 "The unwelcoming news is that while the healthy economy is generating sustained interest in buying a home this spring, sales are lagging year ago levels because supply is woefully low and home prices keep climbing above what some would-be buyers can afford."